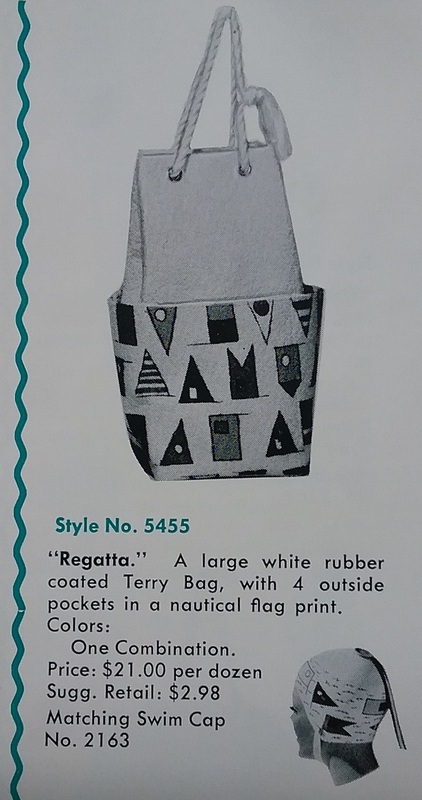 I have always loved catalogs. I wasn’t too crazy about the Barbie I got for Christmas in 1962, but I loved that little catalog that came with it, the one showing her latest fashions. And the arrival of the yearly Sears Wish Book was a big event in the Adams household. It amazes me that so many old catalogs have survived. 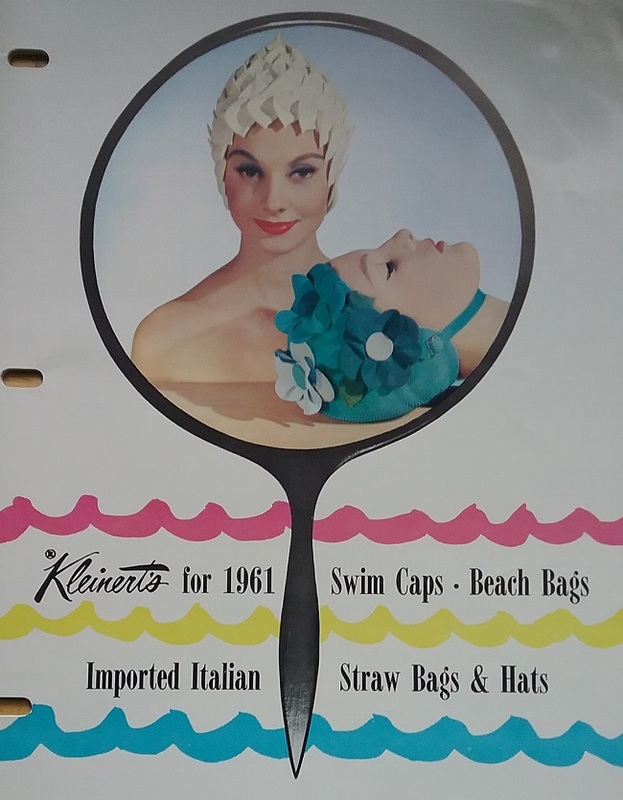 Why would anyone keep a 1961 Kleinert’s swim cap catalog? After a season its usefulness is wiped out. When I was a kid, there were never stray catalogs nor newspapers nor magazines lying around. My mother kept a tight ship when it came to clutter, and her method of dealing with it was to get rid of it as soon as possible. But I’m grateful for the savers – the people who didn’t mind a few old catalogs taking up space in their homes or business. The latest addition to my collection is a wholesale catalog. The shop owner chose what she or he thought would sell. The original owner of this catalog made notes in the margins such as, “Add 6 to order, natural only”. An obvious benefit of having catalogs of the things one collects is that they help so much when trying to place a date on an object. 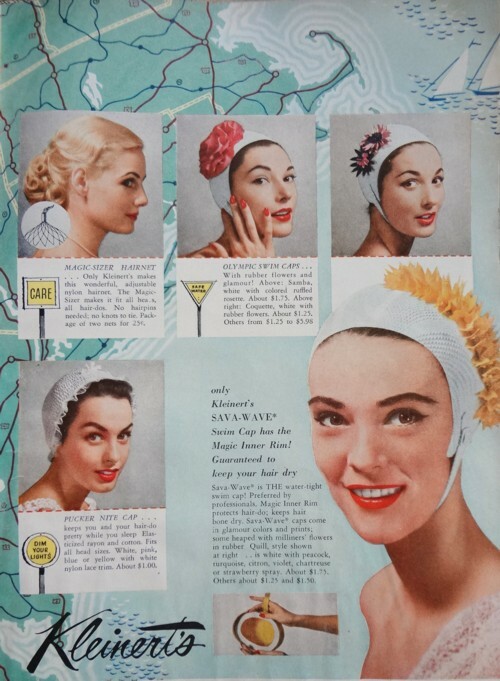 I’m sure a lot of people must think that these fancy bathing caps disappeared at the end of the 1950s, but this catalog is full of them. 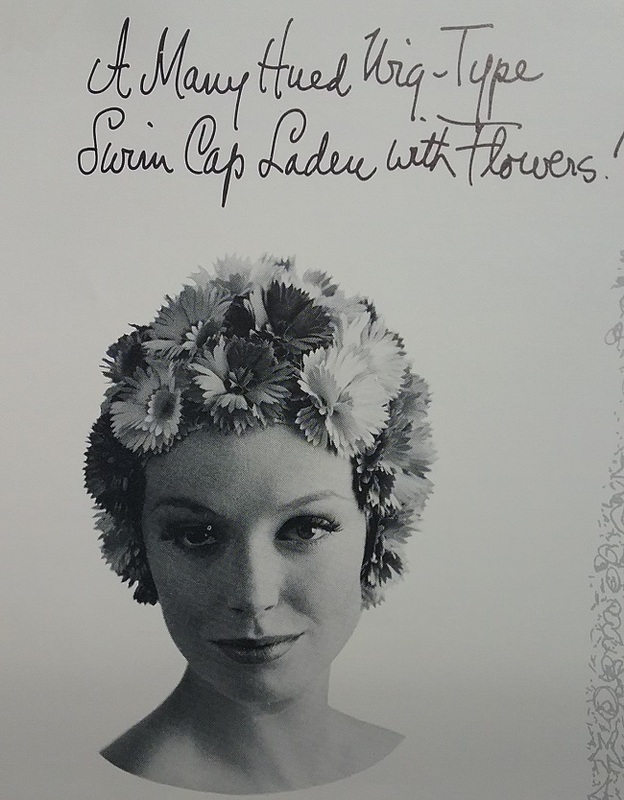 The bathing cap covered with flowers must have been really popular because so many of them survive. Most are in bad shape. The caps tend to age quite well, but the attached flowers get all mashed out of shape when stored flat. I’ve even seen them melted and sticky. The “Gamine” style is less common, but not really rare. I have one that is covered in shiny black “hair”. I’d like to see someone with that much hair actually put that rubber cap on! 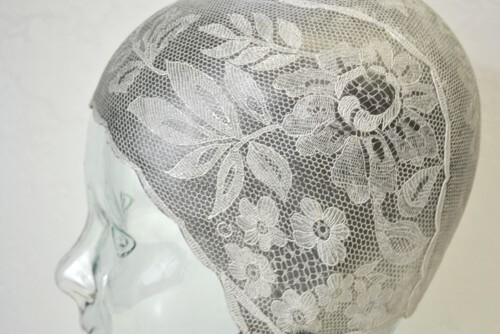 That is a sweet cap though, with the braid trim and that flower on the back of the neck. 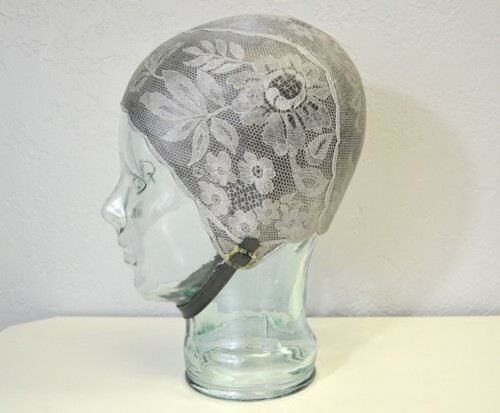 And how about those rubber bangs on the Bouquet cap? Here we are getting in rarer territory. 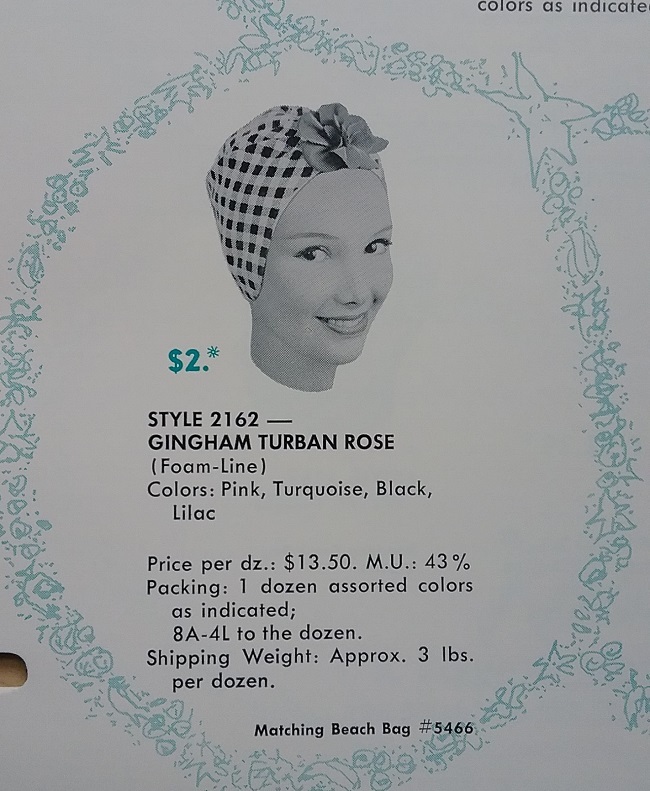 I’ve never seen a gingham swim cap, not in reality nor in print. This gives me something to aspire to, preferably in turquoise. 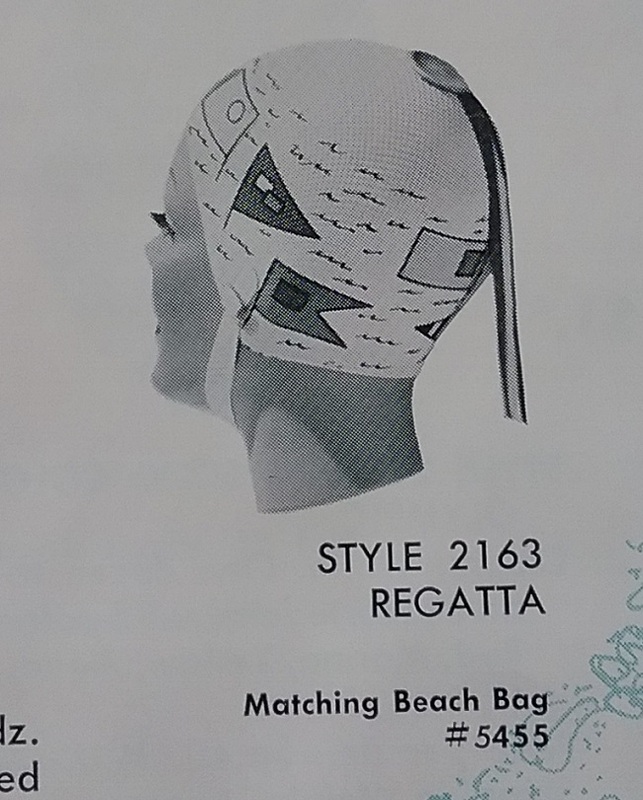 But most of all, I need this Regatta swim cap in my life, along with the matching beach bag. 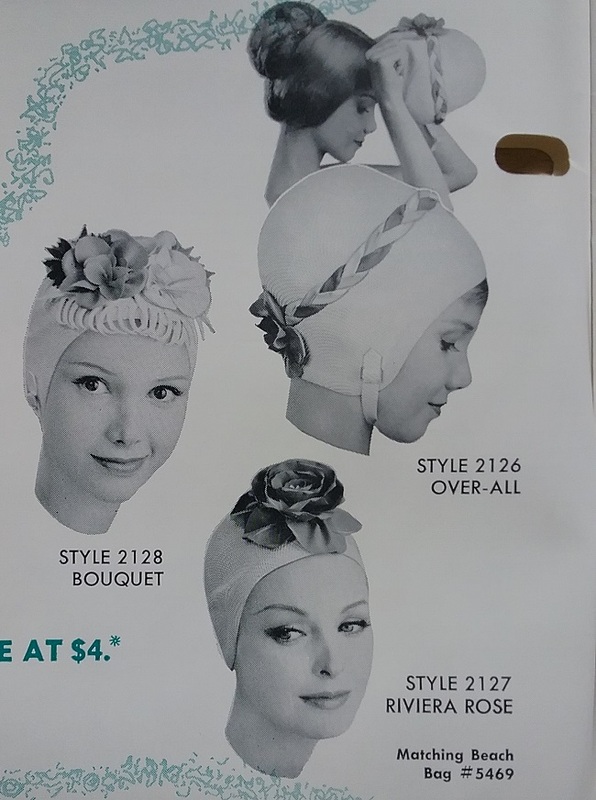 When I think of bathing caps, I think of old ladies round the pool in Florida. I must have gotten that from some movie I saw as a girl. 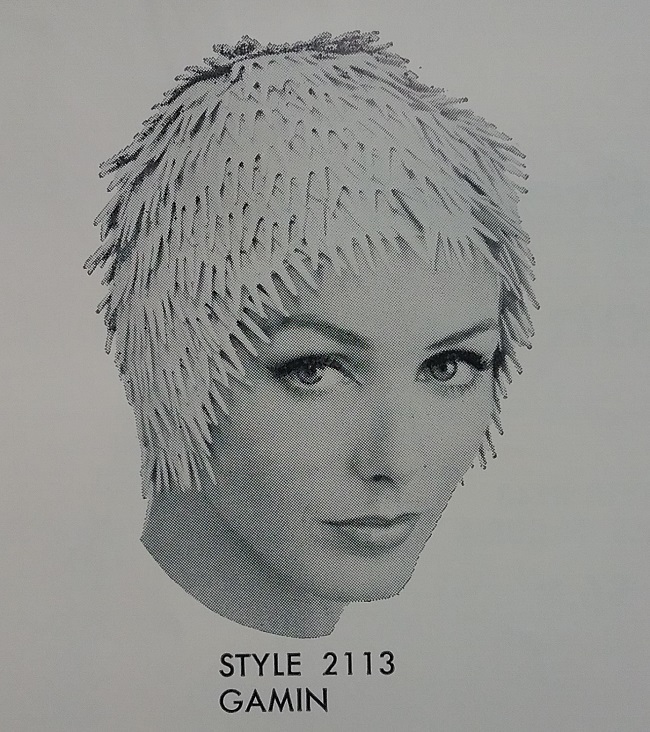 My actual experience with bathing caps was short-lived. My local public pool and the summer camp I attended both required caps for girls, insisting that the long hair of girls got clogged in the filtration system. In the mid-1960s when boys started growing their hair longer, we girls rebelled, saying truthfully that many of the boys had longer hair than we did. Of course, instead of making boys wear the caps, the rule for the girls was “forgotten”. The catalog has much more than just swim caps. 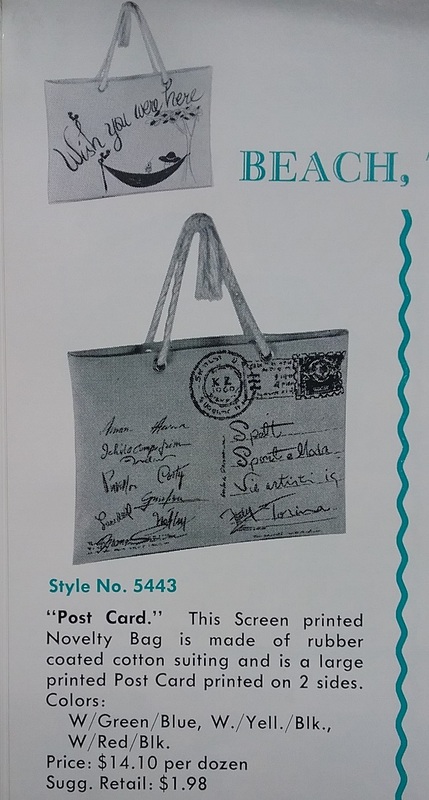 I think that this postcard beach tote is simply the best. 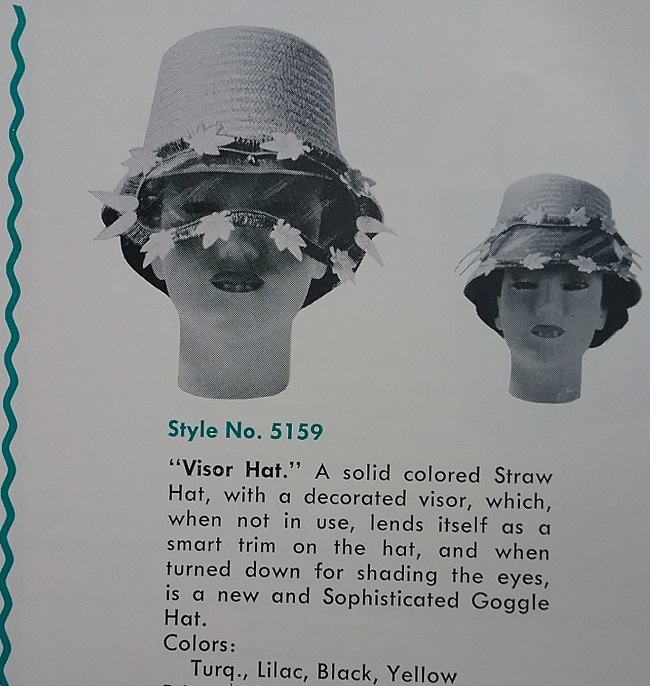 Some time ago a reader emailed a photo of one of these folding hats that she had. I’ll admit I was clueless about it, so seeing this one was a real treat, despite the very unfortunate name. I’ve forgotten who had this hat, but if you are still around and you still have it, I’m ready to buy! And here’s a different take on the sunglasses hat. Again, this is a new one to me. 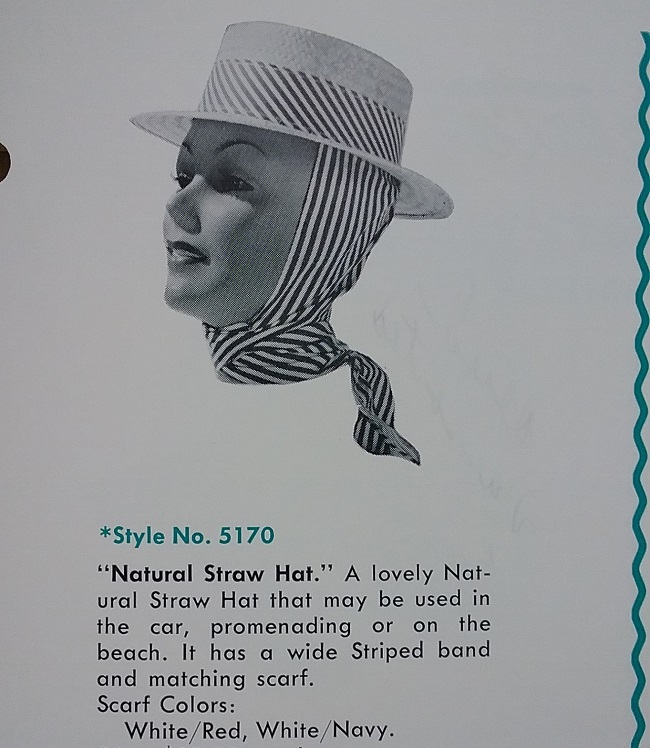 The catalog has several styles of hats that have an attached scarf to tie on the head. I have a fairly generic one that belonged to my mother-in-law, but how I’d love to have this one that just looks so Italian. 1 Incurving V-Ribs keep water out! 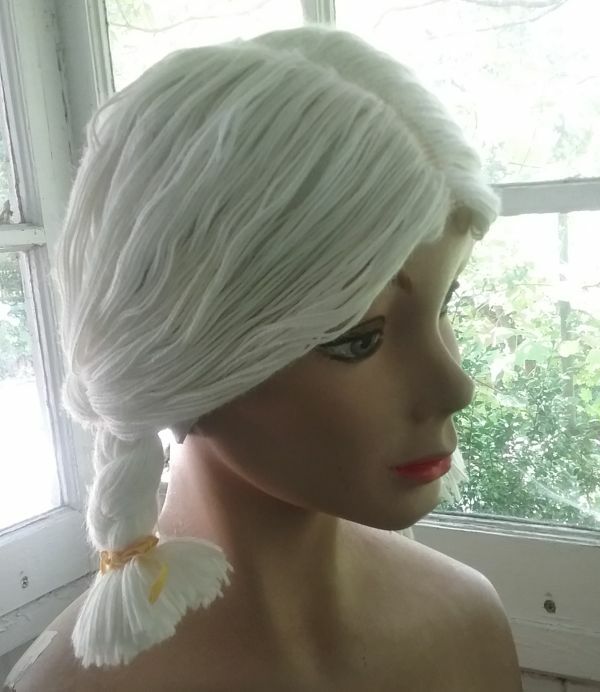 2 Watertight suction band seals hair in! 3 Small, medium, and large sizes assure perfect fit. Special size for children. Swim and dive all you like, Howland protection stays with you. 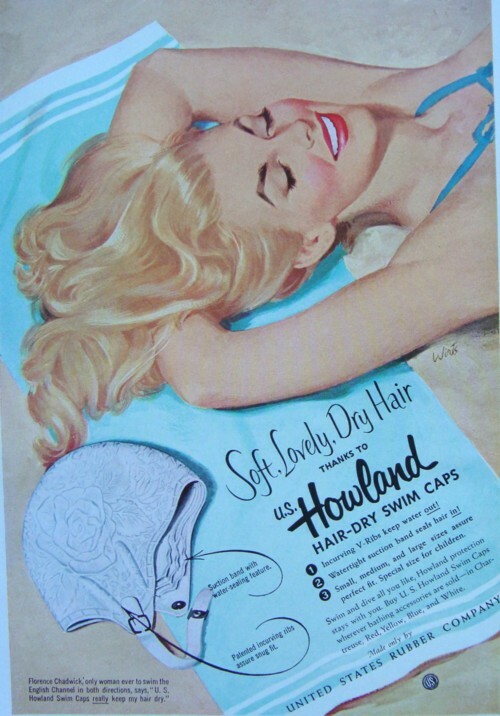 Buy U.S. Howland Swim Caps wherever bathing accessories are sold – in Chartreuse, Red, Yellow, Blue, and White. Note that the “in-curving ribs” are patented. 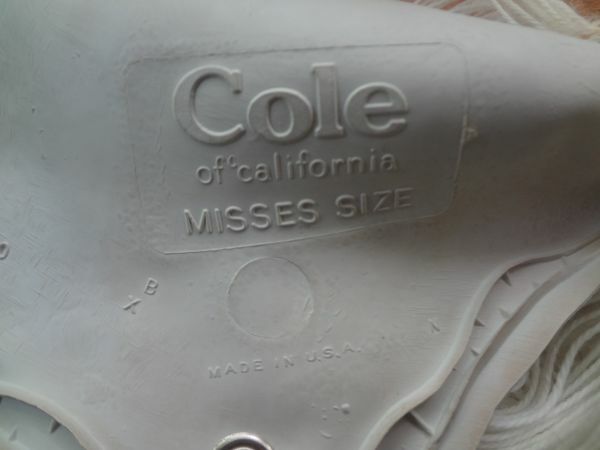 Whether or not the ribs actually worked is another matter, but patents are good because patent numbers are often found inside swim caps and are a useful tool in dating an otherwise tricky item. Just remember that the date is not necessarily the date the item was made; it is the earliest possible date of manufacture. What the heck is a diving belle, you ask? It was Jantzen’s name for their swim caps, a cutesy name if there ever was one. Most of the ones I’ve seen show a real effort to pretty up what many consider to be an unflattering thing. They added flowers and ruffles and bows and embossing. The one I’m showing off today is a great example. 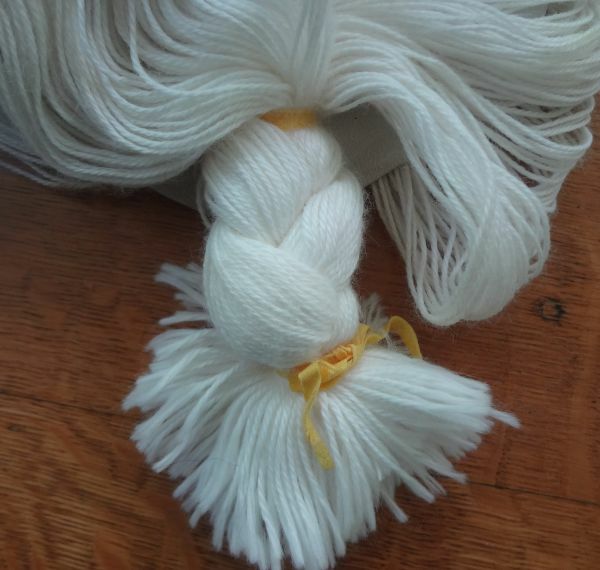 The attached rubber flowers detracted from the bald-look of a plain cap. This type of decoration was common in the 1950s and 60s. The big problem with many vintage swim caps with applied decoration is that the decorations are often in bad condition. If exposure to saltwater and chlorine were not enough, 60 years of storage, often in hot attics or damp basements, was the destroyer of many rubber caps. 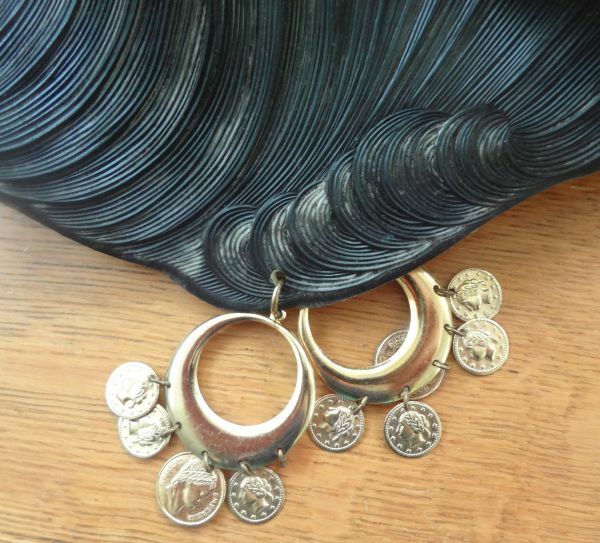 So, luckily for me, one of my favorite online sellers, Small Earth Vintage, recently listed this one on etsy. From Karen’s photos I could tell that I’d finally found the excellent condition cap I’d been searching for, at a reasonable price. I don’t shop a lot online, mainly because to me it is the actual hunt for vintage that is the most fun. 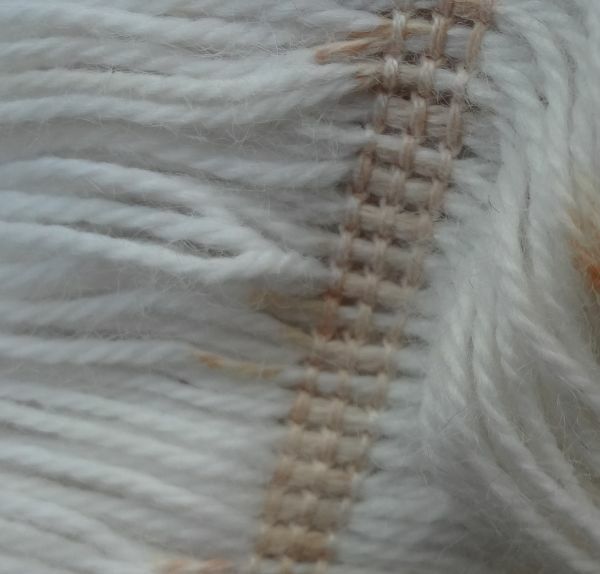 But I love stumbling across something wonderful on etsy or on other websites, and if it is a seller I know and trust, I don’t hesitate to buy. Those ridges are supposed to form a seal to keep water out. They usually did not work very well. 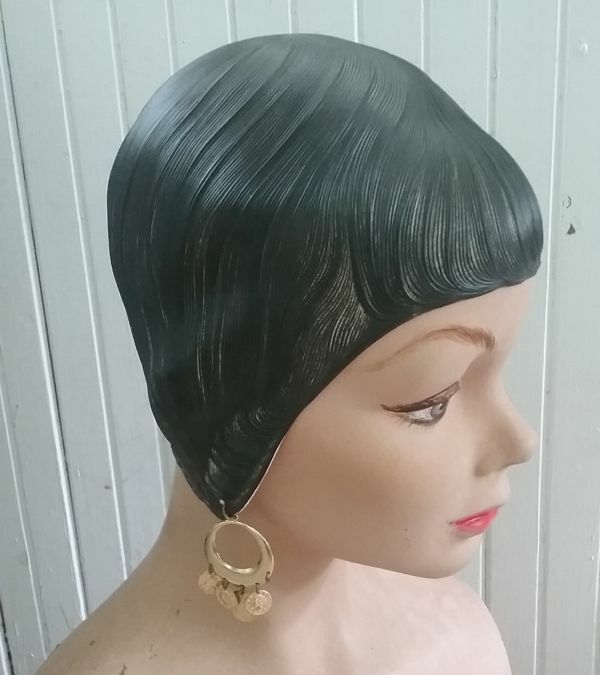 Swim caps always look strange on mannequin heads because their ears do not flatten like a real person’s does. That’s part of the reason swim caps are so uncomfortable; they scrunch in the ears. To a vintage collector, one of the best things is finding an item in print, and then seeing the actual object. In this case, it is a virtual seeing, but still it is enough to bring a smile. 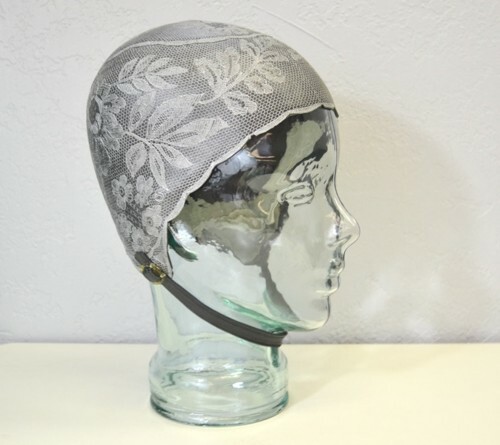 I’ve been looking closely at swim or bathing caps, trying to find a few to match up with some bathing suits in my collection that are in need of the proper headwear. 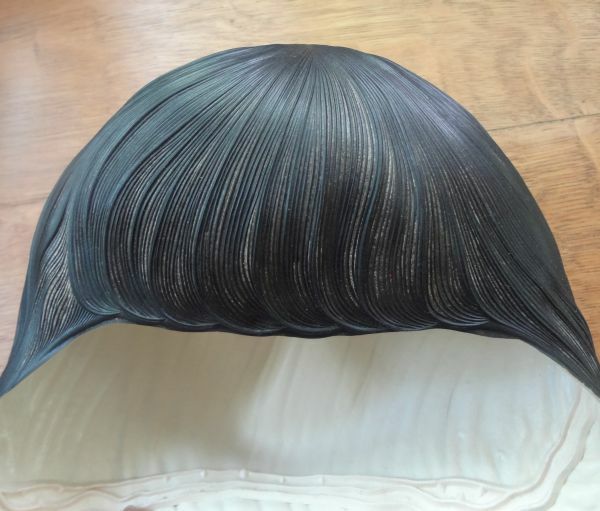 In doing do I ran across a very nice cap on etsy – one that looked vaguely familiar. In looking back at prior posts on swim caps, I realized where I’d seen it. Luckily for collectors today, the rubber makers kept trying to make an unattractive item look more desirable to women. 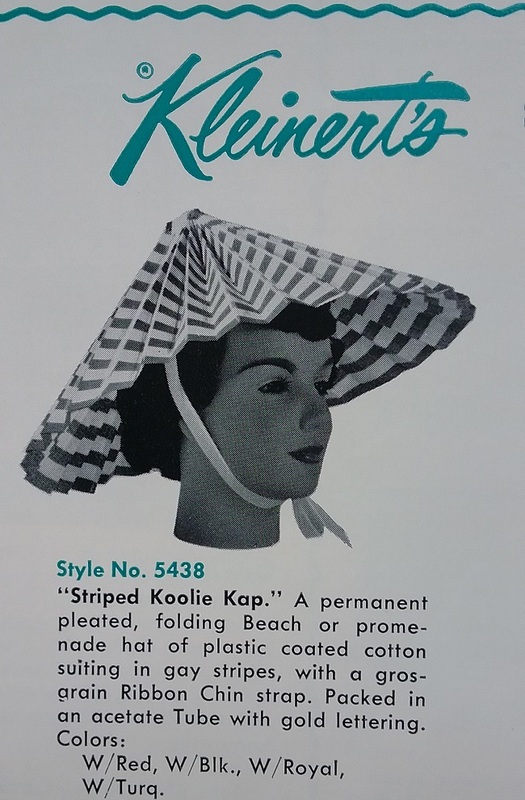 Their experimentation is our gain in the variety and novelty of the swim caps manufactured in the 1950s. Thanks, U.S. Rubber! And thanks to etsy seller IngridIceland for the use of her photos. I get something on my mind, and it becomes the latest vintage obsession. Lately it has been swim caps. I have a few of them, but lately I’ve been looking to fill in a few gaps in my collection. So expect to see more on this theme in the next few days. This week’s ad is from Kleinert’s, which specialized in rubber goods of all sorts. Or I should say specialize, as they are still in business. A couple of years ago I wrote a little history of the company. You can read it, and view a 1930s Kleinert’s brochure, if you so wish. Look at the wonderful new things that have happened to swim caps. Fabulous new textures… beautiful new designs… an array of colors to set the beach ablaze with a never before kind of swim cap flattery. Two different ads with two different approaches to selling swim caps, but note how both use the word flatter, and both have cap-covered heads sticking out of the water. Both ads appeared in the June, 1958 editions of American magazines.